Watch Kamisama Minarai: Himitsu no Cocotama full episodes online English Sub. 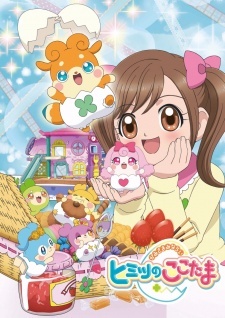 Synopsis: Cocotama are tiny gods born from the thoughts and feelings of objects that people use with great care. The fact that Cocotama wear part of the egg they hatch out of as underwear is proof that they are still apprentices. The Cocotama use a mysterious magic, and they train hard to be of use to humans and to become full gods. They live inside human houses and stealthily move around to help humans find things they have lost, although they make many mistakes.